These are brand new General Motors Vortec 1600, 1.6 liter industrial engines. They are complete as seen in our pictures and are found commonly found in Kohler generators, sweepers made by Tennant, Nilfisk, Power boss, Blue line, and Masco Aerial lifts. Individual engine parts are available for purchase. 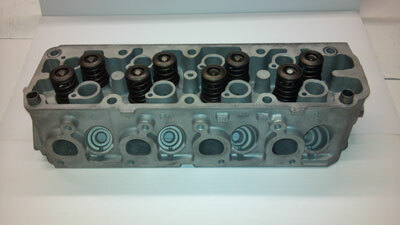 They include cylinder heads, crankshafts, gaskets and other engine parts. Description : Designed to work with gasoline, liquid propane gas and natural gas. Pistons have high silicon content for improved durability and noise reduction. Sintered powdered-metal exhaust valve seat inserts for enhanced durability. World-class engine sealing system for superior leak protection. DIS ignition system. Poly-V belt harmonic balancer standard. Horsepower 29 hp @ 1800 rpm (Gasoline). 55 hp @ 3000 rpm (Gasoline). 26 hp @ 1800 rpm (LPG). 23 hp @ 1800 rpm (Natural Gas). Torque 94 lb-ft @ 1800 rpm (Gasoline). 96 lb-ft @ 3000 rpm (Gasoline). 85 lb-ft @ 1800 rpm (LPG). 76.5 lb-ft @ 1800 rpm (Natural Gas).